The new Retribution of Scyrah book is due out soon – and Privateer is giving us a new look at it! Once outlawed as a dangerous and radical sect of extremists, the Retribution of Scyrah has become the last shining beacon of hope for the elves of Ios. The Retribution is convince that by elimination the spread of magic among humans, it can halt the slow demise of the elves’ last remaining gods and save their race from soulless oblivion. Complete rules and profiles for the deadly warcasters and sleek myrmidons of the Retribution of Scyrah, including two new warcasters and a new character warjack. 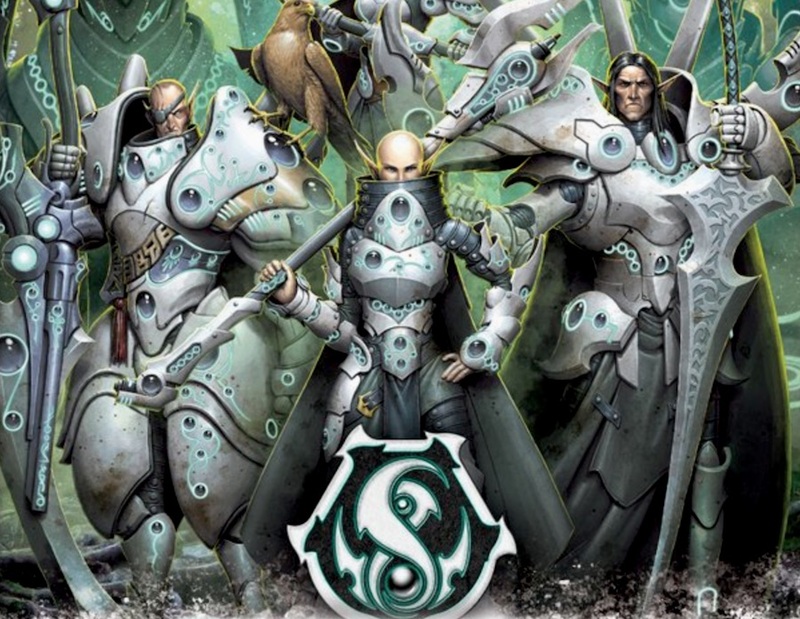 A collection of units and solos that can form the flexible core of your Retribution army. Detailed background information on the Retribution and Ios, including an in-depth look at their warcasters and myrmidons. A painting guide full of tips and inspiration to help you create an army as individual as you are. Three new theme forces that allow you to create specialized Retribution armies with specific benefits. Do you have plans to pick this one up?